Chef James Lowe is a disciple of British culinary giants Heston Blumenthal and Fergus Henderson. And unsurprisingly, the food at Lyle’s is British with an fierce emphasis on local seasonal produce. 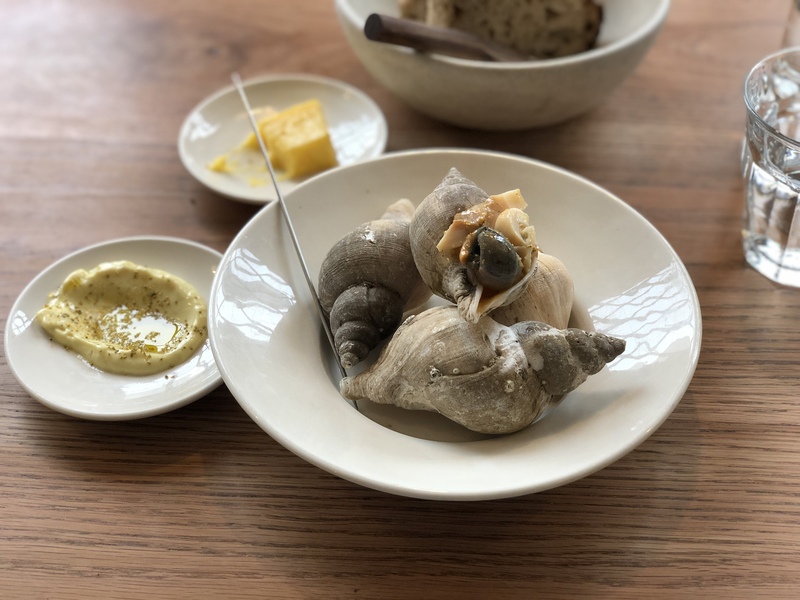 The daily menu features uncommon ingredients such as whelk, herring and mallard, which may be challenging for some diners. Lunch is an à la carte affair while dinner is a set menu. During my meal, the menu listed 12 dishes and 4 desserts. Naturally I went with as many options I could stomach (both in the literal and financial sense!). I started with the whelk & mayonnaise, the whelk is cooked simply and served in it’s shell with the mayonnaise on the side. Next up was the mussels & cider butter, an understated but luxurious dish that highlighted the fresh sweetness of the shellfish. As a fan of offal, I had to order the pig’s head terrine & pickles. This gelatinous pate is served with a warm toasted brioche and some sharp pickles which help to cut through the rich fatiness. The smoked eel & spring greens was delicate but packed with umami and savory goodness. To cap off the scrumptious meal, I finished with the caramel ice cream & espresso meringue – a balanced dessert with a punchy coffee flavour. The wine list is predominately European and served by the glass (125ml), carafe (500ml) and bottle (750ml). Pre drinks on offer include ciders, ales and the classic Gin & Tonic. I was pleasantly greeted by the hostess and she generously accommodated my request to sit by the windows. However, the rest of the staff were rather nonchalant and a bit too carefree. Perhaps I’ve been spoilt by attentive service living in Sydney but hospitality is just as important as the menu. Lyle’s is housed in the Tea Building, which fittingly was used as a bacon factory in 1931. A minimalist decor is achieved through white walls, wooden furniture and concrete floors. During the daytime, sunlight drenches the dining area, courtesy of the large windows lining the front of the restaurant. 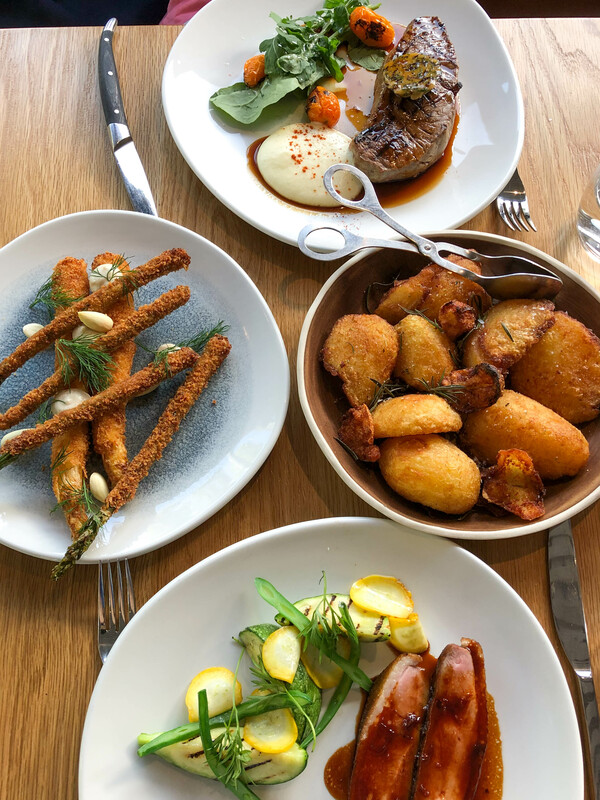 If you’re after British cuisine that is simple, stripped down but still intriguing then Lyle’s is the right place.